There will be 12 nations competing at the 2019 UEFA U21 European Championship including five time winners and co-hosts Italy. Defending champions Germany will also line up in Italy & San Marino alongside Austria who are making their debut in the competition. All 55 UEFA nations entered the qualification competition which took place from March 2017 to November 2018. Nine group winners qualified directly including Croatia, Spain, Denmark, England, Germany, Belgium, Serbia, Romania and France. The four best runners-up advanced to the play-offs which saw Poland and Austria making up the 12 teams that will contest the tournament which begins on 16 June 2019. Check out all the 2019 UEFA U21 European Championship teams and squads including how they qualified, history, manager & squad information which will be announced in the coming weeks. All appearance statistics include the U21 era since 1978. The Azzurrini automatically qualified as hosts and have an impressive record in the tournament. Italy is the most successful nation in history, winning five Championships (1992, 1994, 1996, 2000, 2004) and twice runners-up (1986, 2013). They were eliminated from the 2017 UEFA U21 Championship in the semi-finals after a 3-1 defeat against Spain at the Stadion Cracovia in Kraków. Federico Bernardeschi was top scorer with two goals, Domenico Berardi, Lorenzo Pellegrini and Andrea Petagna all scoring once. This will be Italy’s 20th appearance at the tournament. They have been managed since 2013 by former defensive midfielder Luigi Di Biagio who played for Monza, Foggia, Roma, Internazionale, Brescia and Ascoli. La Rojita qualified for their 14th tournament on 6 September 2018 as Group 2 winners where they won nine of their 10 matches. Real Madrid’s Borja Mayoral was the leading scorer with eight goals, Mikel Oyarzabal and Rafa Mir both scoring five. Spain have a fantastic record in the competition, champions four times (1986, 1998, 2011, 2013) and runners-up on two occasions including the 2017 tournament in Poland. The 1-0 defeat against Germany at the Stadion Cracovia in Kraków was a tough one to take after storming their way into the final on the back of tournament top scorer Saúl Ñíguez. FormerAthletic Bilbao, Sevilla and Alavés left-back Luis de la Fuente replaced Albert Celades as manager in July 2018 and is expected to lead the team in Italy & San Marino. Les Bleuets enter their 9th UEFA European U21 Championship as Group 9 winners where they won nine and drew one of their 10 qualifying matches. Lyon’s Martin Terrier was top scorer with seven goals with club team mate Moussa Dembélé scoring five. Their last appearance was in 2006 when they made the semi-finals. Former Stade Rennais and Lorient midfielder Sylvain Ripoll has been manager since 2017 with assistant managers Patrice Gonfalone and José Alcocer. France have been champions once in 1988 when they were led by Laurent Blanc, Stéphane Paille, Eric Cantona and Franck Sauzée. The Young Lions went undefeated as they topped Group 4, winning eight of their 10 matches and conceding just four goals. Strikers Dominic Solanke and Dominic Calvert-Lewin top scored with four goals, Tammy Abraham next best with three. England have been UEFA European U21 Championship winners twice (1982, 1984) and this will be their 15th appearance at the tournament. They made the semi-finals in 2017 where they were defeated in a penalty shootout by eventual winners Germany at the Stadion Miejski in Tychy. The current manager is Aidy Boothroyd who has been in charge since 2016. The former Huddersfield Town, Bristol Rovers, Heart of Midlothian, Mansfield Town and Peterborough United defender replaced Gareth Southgate. The Young Eagles qualified as Group 7 winners where they won eight and drew twice in their 10 matches. Eintracht Frankfurt striker Luka Jović scored seven goals with Rad Beograd defender scoring four. Serbia will be making their 11th appearance after exiting in the group stage in 2017. They have been champions once in 1978 when they were known as Yugoslavia. Manager Goran Đorović has been in charge since 2017, he was a defender who played for Priština and Red Star before moving to Spain where he had spells with Celta de Vigo, Deportivo La Coruña and Elche. The German U21 side scored the most goals in the qualifying stage with 33 in 10 games. They won eight with a draw and a defeat but still finished 10 points clear or Norway. Schalke striker Cedric Teuchert top scored with seven goals, Union Berlin midfielder Marcel Hartel next best with three. Germany will be contesting their 12th UEFA U21 European Championship as champions having won in 2017 which followed their first win in 2009. They advanced to the knockout rounds after being the best runner-up in the group stage, defeating England in the semi-finals and Spain in the final thanks to a goal from Mitchell Weiser. Stefan Kuntz has been Germany U21 manager since 2016 after a prolific career as a striker from 1980-2005. Kuntz represented Borussia Neunkirchen, VfL Bochum, Bayer 05 Uerdingen, 1. FC Kaiserslautern, Beşiktas, Arminia Bielefeld and VfL Bochum, winning the 1990-91 Bundesliga title with Kaiserslautern. The Young Blazers qualified as Group 1 winners by the skin of their teeth. Finishing with an identical record as Greece (8W 1D 1L), Croatia advanced to the 2019 UEFA U21 European Championship with a five goal advantage in the goals for and against tally. Wolsburg winger Josip Brekalo top scored with seven goals, Nikola Vlašić and Marin Jakoliš next best with five. This will be Croatia’s 3rd appearance at the tournament and first since 2004 when they exited in the group stage. They have never got past the group stage and manager Nenad Gračan could have a tough task on his hands in Italy & San Marino. Gračan was midfielder capped ten times for Yugoslavia and represented clubs Rijeka, Hajduk Split and Oviedo. The young Danes will be making their 8th appearance in the tournament after finishing qualification as Group 3 winners. Denmark won seven of their 10 matches which was enough to end up one point ahead of Poland. Robert Skov was one of the surprises of the qualifying campaign, scoring eight goals and backing it up with a sensational season for København. Ajax defender Rasmus ristensen and Genk attacker Marcus Ingvartsen each scored five goals. Denmark couldn’t get out of the group stage in 2017 with their best results at the tournament being two semi-final appearances in 1992 and 2015. Manager Niels Frederiksen has been in charge since 2015, he never played professional football having entered football management as youth coach at B93 after studying in economics and working at Danske Bank. 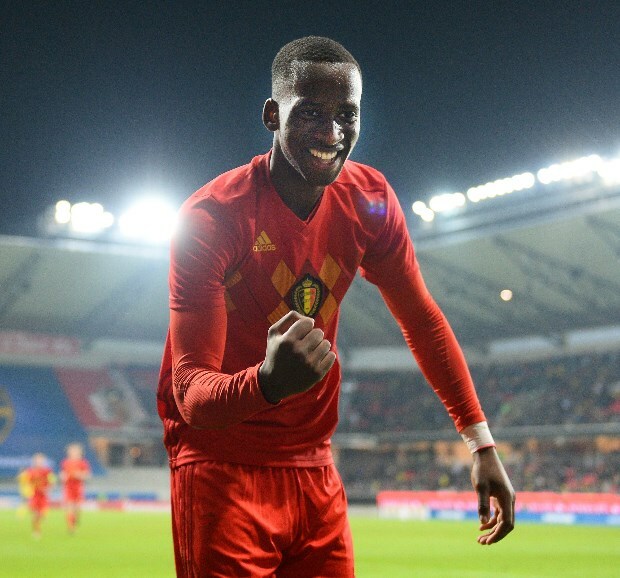 The Young Devils will be making their 3rd appearance at the 2019 UEFA U21 European Championship. Their last campaign was in 2007 when they reached the semi-finals, their best ever result. Belgium booked their ticket to Italy & San Marino as comfortable Group 6 winners where they won eight and drew twice in 10 matches. Landry Dimata was top scorer with seven goals, Dodi Lukebakio and Siebe Schrijvers contributing four each. Former Anderlecht, Udinese, Parma, Udinese, Standard Liège, Torino and Catania midfielder Johan Walem has been manager since 2016. At Anderlecht he was named Belgian Young Professional Player of the Year in 1992 before winning the Jupiler League with in 1993, 1994 and 1995. The Little Tricolours are making just their 2nd appearance at the tournament. Their previous appearance was in 1998 when they reached the quarter-finals. Romania qualified as Group 8 winners where they went undefeated, seven wins and three draws from their 10 matches. A rock solid defence conceded only four goals, up front was a bit of a struggle but Palermo striker George Puşcaş led the way with seven goals. Mirel Rădoi earned 67 caps for the Romanian national team and has been U21 manager since 14 March 2018. As a player he features for Extensiv Craiova and Steaua București before moving to the Middle East where he played for Al-Hilal, Al-Ain, Al-Ahli and Al-Arabi. The White Eagles had to qualify the hard way through the play-offs after finishing runners-up behind Denmark in Group 3. Poland got past Portugal in dramatic fashion, defeated 1-0 at home before a surprise 3-1 win in Portugal. The star of the campaign was Dawid Kownacki who top scored in the group stage with 10 goals, before netting against Portugal in the second leg of the play-off. This will be Poland’s 7th appearance after failing to get out of the group stage in 2017 on home soil. They previously got to the quarter-finals on five occasions (1982, 1984, 1986, 1992, 1994). Czesław Michniewicz has been manager since 2017 after beginning his managerial career at Lech Poznań in 2003. Nicknamed the "Polish Mourinho", he last achieved success at Zagłebie Lubin where he guided the club to the Ekstraklasa and Polish Super Cup in 2007. Austria will be making their UEFA U21 European Championship debut in 2019 after sneaking through in the play-offs. They finished behind Serbia in Group 7 but got past Greece in the play-offs with 1-0 wins in both legs. Defender Mathias Honsak top scored with six goals and attacker Arnel Jakupovic chipped in with four. Manager Werner Gregoritsch has a long history in the game and managed various clubs since 1988-89 as player coach at SV Güssing.